Classical Academic Press recently sent me a copy of The Art of Poetry for review. I received the student book, the teacher’s edition, and the first DVD from the DVD set. 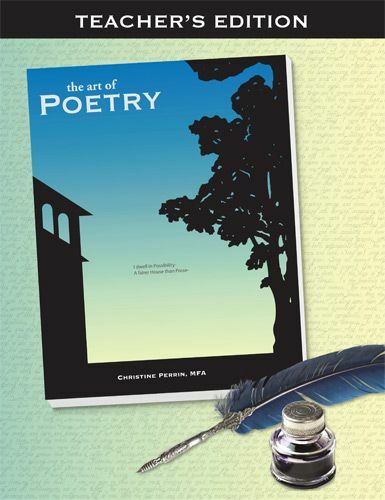 CAP recommends The Art of Poetry for grades 6 and up and I agree. You will find samples on the product pages. 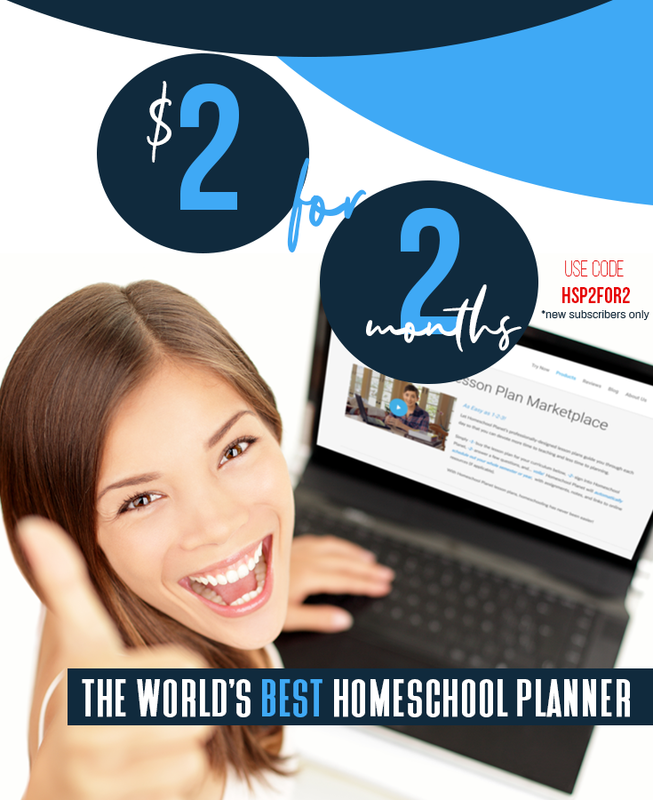 This is a flexible program that can be used as a year-long course or as periodic extra in your homeschool. It would also work well in a co-op situation. The course is designed to teach poetry appreciation by learning about the history and elements of this art form. a vocabulary page where bolded terms are defined. Chapter 16 is a culminating chapter with suggestions on how to start a poetry group, a writer’s journal, and various other extension activities. The appendices contain short biographies of the poets featured, a glossary of terms, and a bibliography of works. 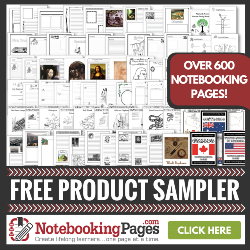 These books are not workbooks and can be used over and over again with your kids. 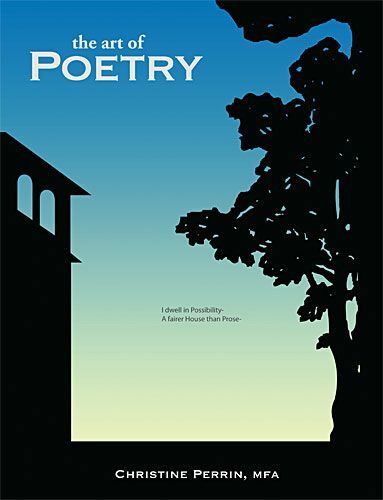 In addition to the materials provided in the books, you have access to free mp3s for download of the poems being read and a pdf of suggestions on how to schedule The Art of Poetry. Classical Academic Press also has a DVD set available to accompany this course. The DVDs are not an exact presentation of the material in the book, but more of a discussion of the topics presented there. You will still need the books to complete the course, but the DVDs are a nice addition if you need your child to work independently or for a co-op class. 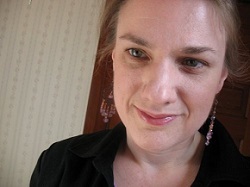 How are we using The Art of Poetry (and what do we think)? I was excited to try this out with my 7th grader, David. I love poetry, and I felt that David was at just the right age to start learning more about it without feeling overwhelmed by technical terms. And I was right, he’s enjoying the course and even memorizing poems that he enjoys. The text is written to the student in an accessible, conversational tone. We have been moving through it slowly, as it’s an “add-on” for us, by reading the explanatory material together and discussing it, and then reading a poem or two each day and discussing it using the discussion questions. Occasionally I assign one of the activities if I think it will appeal to him. So far, we’ve covered images and metaphors. And even though I studied poetry in college and I have a degree in English---I’ve still learned a few things from this course myself. Did you know that a dead metaphor is an expression that has been used for so long that the original image it referred to has been forgotten? The whole topic of metaphors actually started a rather animated philosophical discussion and brought up an interesting point ---the prevalence of metaphor in all of human communication. It’s the way that we understand abstractions, by relating them to the things that we see and touch every day. Yes, we are definitely enjoying the discussions spurred on by The Art of Poetry---I’m learning to appreciate all the marvelous connections and cognitive leaps my son is making. 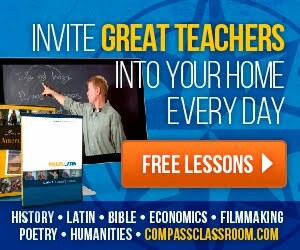 An older student could definitely do this as an independent study and write out their answers to the questions, but I would still recommend discussion and the sharing of ideas to get the most out of this program. We watched part of the sample DVD (with chapters 1 and 2) and found that it was not a good fit for us. The format has the author sitting at a table with 4 teens talking about the material in the chapter. David found that it wasn’t visual enough (and he’s a visual kid) to justify using a the DVD format and he preferred to simply discuss the material with me, but I can see it being useful in a co-op situation or if you needed your child to do this course independently. Because I have a background in poetry, I’ve felt confortable discussing the poems with my son without referring to the teacher’s edition. However, I’ve been impressed with the quality of the explanations and answers given there, and think it will give confidence a parent or teacher who’s teaching poetry for the first time. We give The Art of Poetry 2 thumbs up and will definitely continue with it. We felt that the course was do-able without the DVDs, so if budget is an issue, you could skip the DVDs (or try it without them before making the investment). The student text and teacher’s edition are well written and we found them easy to use. We preferred working through the lessons without the DVD, too.